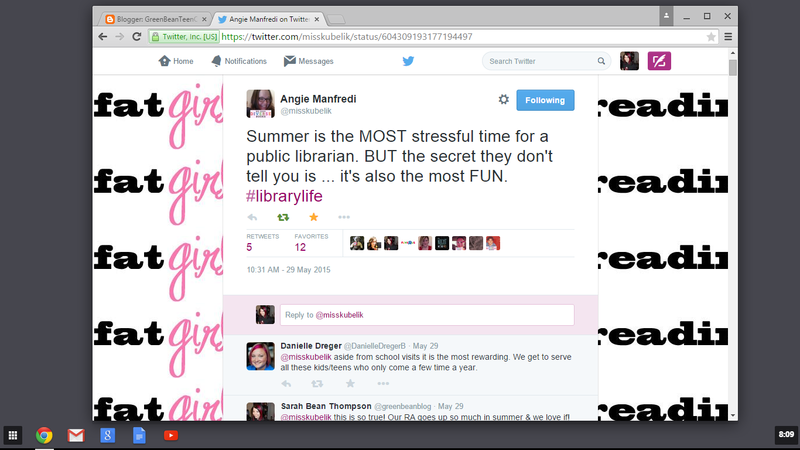 Summer is the MOST stressful time for a public librarian. BUT the secret they don't tell you is...it's also the most FUN. When people think of Summer, they still think of lazy days, lots of reading, vacations, and relaxing. When you become a public librarian your Summers become full of reading, programming, busy days, possibly working even more than you are scheduled to, and making it your mission (even more than usual) to get kids to read. This is can be tons of fun but it can also be stressful, exhausting, and incredibly rough. I try to explain what it's like to my friends and family and even our regular patrons who wonder just why we're so busy. But it's hard to tell people what it's like unless they experience it from the front lines. To try and give you an idea, I looked up some stats to help tell the story. In January 2014 my library branch saw an average of 1,240 patrons walk through our doors each day. In June 2014 that number increased to an average of 1,552 patrons each day. "how do you participate in the Summer Reading Program?" "where is (enter popular series title)"
"can you recommend any good books?" "my child is learning to read, where are books for them?" "why are there no (enter popular series title) on the shelf?" There is hardly time to breathe because the lines are long, the questions are endless, you are constantly putting things on hold because nothing is ever on the shelf. We try but the shelves get wiped of anything anyone wants in the first week and there are hold lists all Summer long! If someone does find a popular book, I tell them it's their lucky day! Plus you have non-stop programming and you better have gotten it all planned before Summer Reading started because there is absolutely no time to get off desk to plan anything (remember that long line of patrons with questions/needing to turn in prizes/put books on hold?) And if you're the manager, good luck trying to make any meetings during the Summer and you'll most likely end up working on the schedule from home because it's the only time you have to work on anything! Just a couple of weeks ago I had a young boy come in looking for some books but the ones he wanted were checked out. He said he had to do Summer Reading because his mom was forcing him to. I told him that no one should be forced to read and asked him some questions about what he was interested in. After listening to his likes and dislikes, I found him a couple books I thought he might enjoy, pulled them off the shelf, gave him a short book talk (aka commercial for the book), and told him that if they didn't look good, it was OK-it didn't hurt my feelings and we'd try again. He took both books, read the first chapter of each, then excitedly came back to the desk to tell me he loved both of them and couldn't wait to read them! We have a family that moved to France temporarily and this is their first Summer away. They decided they loved the Summer Reading Program so much they printed off their gameboards in France and are looking forward to turning them in when they visit home this Summer to get their free books! I'm at a branch where we see a drop in program attendance once kids reach school age. They come to the Library but it's often to study or get homework materials and we don't see them as much during the school year. But once Summer comes they all come back and I get to see some of my favorite kids again. It's like a giant homecoming and I love it! Summer is also the time we do the most Reader's Advisory (the suggesting of books) and it's a blast. It's the thing my staff tells me over and over that they love about Summer because we get to share books we're excited about, hear what our kids are excited about, and in general have a feel good time about reading. 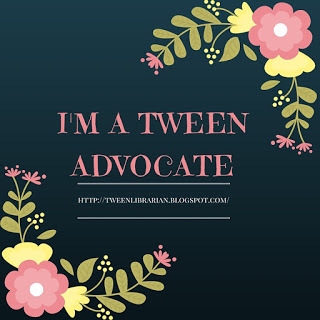 So my fellow youth services librarians-let's cheer each other on. We know it's hard, we know it's exhausting, but we also know it's rewarding and fun. We're helping people find the joy of the library, we're helping them find the joy of reading, and we're helping them find the joy of having a place of their own. Rebecca at Hafuboti has a great idea for #libraryyes Let's send some positive thoughts and love to each other this Summer. Let's remember to stay happy and positive and remember why we love our jobs. And let's remember to breathe, not stress, not worry, and enjoy the moment-let's have fun! So next time you visit your Public Library or see your librarian, give them a hug, a smile, and maybe even some chocolate. And give them a high five and tell them you know how exhausting it is but remind them it's for a good cause. And they are fighting the good fight of Summer Reading. 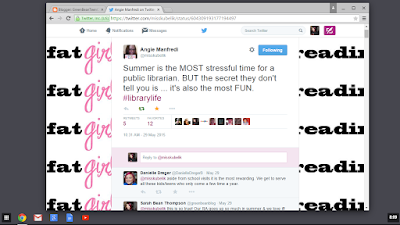 For more about what Summer Reading is like, check out Angie's Letter to a Young Librarian about Summer Reading Programs.